Description: The year is 2009. Nineteen-year-old Jackson Meyer is a normal guy… he’s in college, has a girlfriend… and he can travel back through time. But it’s not like the movies – nothing changes in the present after his jumps, there’s no space-time continuum issues or broken flux capacitors – it’s just harmless fun. Description: When a deadly virus begins to sweep through sixteen-year-old Kaelyn’s community, the government quarantines her island—no one can leave, and no one can come back. Those still healthy must fight for dwindling supplies, or lose all chance of survival. As everything familiar comes crashing down, Kaelyn joins forces with a former rival and discovers a new love in the midst of heartbreak. 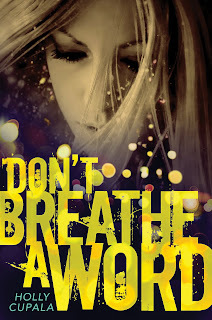 When the virus starts to rob her of friends and family, she clings to the belief that there must be a way to save the people she holds dearest. Because how will she go on if there isn't? Description: Ethan was abducted from his front yard when he was just seven years old. Now, at sixteen, he has returned to his family. It's a miracle... at first. Then the tensions start to build. His reintroduction to his old life isn't going smoothly, and his family is tearing apart all over again. If only Ethan could remember something, anything, about his life before, he'd be able to put the pieces back together. But there's something that's keeping his memory blocked. At what point in your publishing journey did you really feel like an author for the first time? "I still don't feel like one! I still feel like a girl messing around at her father's desk, playing with his pens and paper. But I figure the day I feel like "a real author" is the day the end begins, honestly - I don't want to lose my sense of wonder, the sense that things are still unfolding in front of me. Knowing myself, I'm not sure I could find the tenth book as exciting as the first. I hope I'm wrong!" - Lia Habel, author of Dearly Departed. "The first time I was invited to talk to a college class about writing. They actually thought I was legit!? Crazy. Half the time I still feel like a total imposter. 'Look at you, all dressed up in your big boy pants!'" - Geoff Herbach, author of Stupid Fast. "Do you remember in Back to the Future how Marty's dad George wanted to be a writer? And how at the end, there's this little bit of a scene where George receive a box full of copies of his first book? That's the moment where I felt like a real author… when I opened my first Back to the Future box." - Sarah Beth Durst, author of Drink, Slay, Love. "When my box of ARCs arrived. My book was book-shaped! With my name on it, and the dedication to my grandmother, and all my words inside! It was tremendously exciting." - Jessica Spotswood, author of Born Wicked. 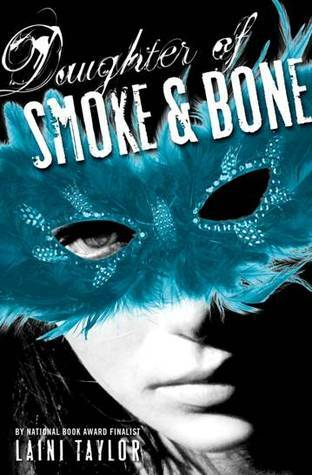 I don’t even know what to say about Daughter of Smoke and Bone. I don’t think the words have been invented that describe my feelings for this amazing book, and truthfully, the only person who could properly create and position the words for me is the incredibly talented author of said amazing book, Laini Taylor. Oh my stars and garters, I am in a glass case of emotion, there is no gif for these things that I am FEELING. To say I was completely and utterly blown away would be an understatement. The thing is, I have no idea how to review Daughter of Smoke and Bone. No idea. I can’t even. I tried to explain the plot to a friend while I was still mid-book, and she had to stop me because she said I was only speaking nonsense words. So, instead of spouting nonsense words to you, here’s a list of just a few of my favorite things in this wildly original story. "When I went to a writing conference and I realized that people were being deferential to me. As someone who has earned her living in fairly underappreciated jobs, this was completely new. I wasn’t sure I liked it, to be honest. I have found I prefer to be one of the gang. It’s much more fun. But I suppose I should feel lucky and grateful." - Amy Kathleen Ryan, author of Glow. "I still don't feel like an author. When I went to sign my first ARC for a contest winner, I sat there with my pen poised above the title page, going, "Am I really about to deface this book with my meaningless signature?" Then I totally messed up spelling my name." - Brodi Ashton, author of Everneath. "When I saw my name in an anthology. It wasn’t even a particularly exciting anthology, but there was my name, on a book, in print, alongside names like Ann Rule and J.A. Jance, and Terry Brooks. They were all authors. That meant I was too." - Anna Sheehan, author of A Long, Long Sleep. "Honestly I don't know that I feel like an author now and I'm not sure if I even want to. In my mind "Author" sounds very grand and a little self satisfied. "Author" feels like an endpoint. I think I'm cool with just feeling like a writer." - Jeff Hirsch, author of The Eleventh Plague. What writing technique or storytelling method is most intimidating to you? "Writing news articles, for some reason. I cannot do it. Yet my graduate dissertation received honors - go figure." - Lia Habel, author of Dearly Departed. "I can't get myself to write in third person. There are really good reasons to write in third, too. Narrator separate from a character allows for a different kind of reflection, gives you some ironic distance to play with, but I can't commit to it... Maybe for my fantastic MG mystery series! (Which I haven't written.)" - Geoff Herbach, author of Stupid Fast. I am not nearly coordinated enough to tell a story entirely with my body. Luckily, my preferred method involves just my fingers and a computer keyboard." - Sarah Beth Durst, author of Drink, Slay, Love. "Multiple points of view. I think the voices have to be incredible to pull it off. Someday I’d like to try rewriting my first novel, the one that snagged me my awesome agent, from multiple points of view." - Jessica Spotswood, author of Born Wicked. From asthma, which has nearly claimed her life. From her parents, who will do anything to keep that from happening. From delectably dangerous Asher, who is smothering her from the inside out. Joy can take his words - tender words, cruel words - until the night they go too far. Now, Joy will leave everything behind to find the one who has offered his help, a homeless boy called Creed. She will become someone else. She will learn to survive. She will breathe... if only she can get to Creed before it’s too late. I cannot say enough about Don't Breathe a Word. It stole my heart and haunted my dreams. I couldn't stop thinking about it after I put it down, and it took me over a week to figure out what I could possible read next that could live up to the enjoyment and satisfaction I got out of reading this powerful novel. Joy's story answers the question: How far would someone go to escape their own life? Her plan is to disappear in plain sight. 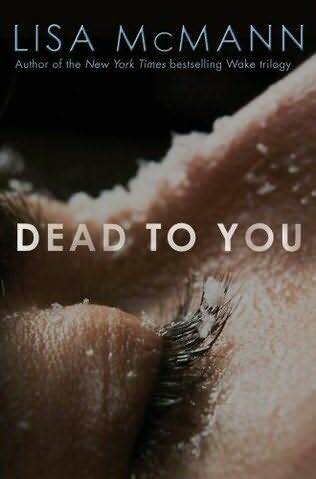 She walks out of her comfortable existence, away from the safety of her home, her loving but overprotective family and her perfect but controlling and verbally abusive boyfriend to find the only person she thinks can possibly understand - a homeless boy named Creed who sees past the facade. To rid herself of the old, she has to start from scratch but the journey isn't what she thought it would be. It's dangerous and frightening, and, even though she's stumbled upon him several times before, Creed is nowhere to be found. It isn't until she's lost everything - possessions, money and her medication - that they cross paths, but the reception isn't as warm as she'd hoped. Reluctantly, Creed and his band of Ave Rats take her in and teach her how to make it on the streets. They look out for each other, panhandle for cash, dumpster dive for food, and even break the law in an effort to survive. 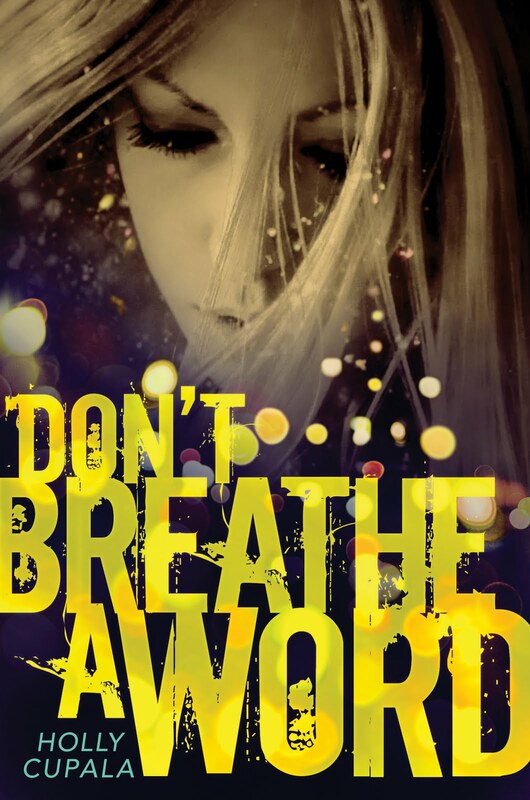 Told in flashes of past and present, Don't Breathe a Word is captivating and terrifyingly at the same time. 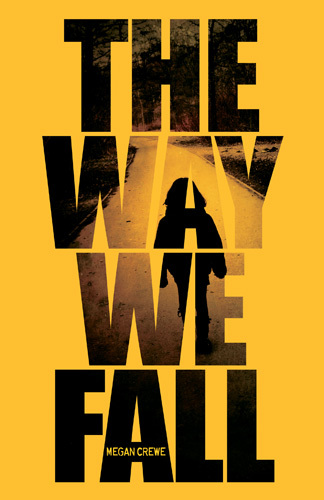 Weighty social issues like homelessness, drug use and prostitution are exposed in gritty detail. This moving story about people struggling to find their place in the world, some of whom are in danger of losing themselves along the way, will wring out your emotions like a wet dishcloth. In places, it will knock the wind right out of you. This was one of my most anticipated books of 2012 and remains one of my favorite reads of 2011. To recap the note I sent to author Holly Cupala after I turned the last page, "it was A-FREAKING-MAZING." I could evangelize on behalf of Don't Breathe a Word until the cows come home, but you simply have to read it yourself to experience each heartbreaking and heartwarming moment. It is definitely a book that will stick with me for a long time. "‘Literary’ writing. Sometimes I pick up a book that is so beautifully written, I feel a little sad that I’m not that kind of wordsmith. I’m not a poet. I’m a capable writer, and my two strengths are conveying action in an exciting way, and humor. So I play to those, and I don’t try to write ‘beautiful’ prose. It just comes off as self-conscious." - Amy Kathleen Ryan, author of Glow. "Poetry. I know it when I see it, but I can't do it. Same with anything "in verse". I admire authors who can do it well." - Brodi Ashton, author of Everneath. "I found screenplay format to be absolutely impossible. I’d love to try stage play one day, though." - Anna Sheehan, author of A Long, Long Sleep. "The ability to write compelling scenes where there is little or nothing going on plotwise, just characters interacting, being themselves, thinking, intimidates me a bit. When I pull it off though there's nothing that makes me happier." - Jeff Hirsch, author of The Eleventh Plague. My wish is to fall cranium over Converse in dizzy daydream-worthy love. Marcie has been dragged away from home for the summer—from Idaho to a family summerhouse in New Hampshire. 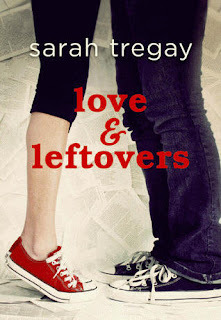 She’s left behind her friends, a group of freaks and geeks called the Leftovers, including her emo-rocker boyfriend, and her father. By the time Labor Day rolls around, Marcie suspects this “summer vacation” has become permanent. She has to start at a new school, and there she leaves behind her Leftover status when a cute boy brings her breakfast and a new romance heats up. But understanding love, especially when you’ve watched your parents’ affections end, is elusive. What does it feel like, really? Can you even know it until you’ve lost it? Leah has the life most high school girls would kill for—popularity, glowing grades, a rich, athletic boyfriend. So why does she feel like she can’t breathe? And why can’t she stop thinking about the boy from the country club? The one who isn’t her boyfriend, the one that her mother would never, ever approve of, the one that her perfect older sisters would never, ever look at twice. The one who is always looking back at her. Irresistible attraction, smoldering glances, the bad boy and the good girl—Kiss Crush Collide has everything that a steamy forbidden romance should, and then some. Sound good? Then just fill out this FORM for your chance to win! The giveaway will end at 11:59p.m. on 12/19. Have you ever stopped short while writing a scene because you were worried about what fans would think of the scene? "Not a scene, but I've got a potential character storyline I'm a bit worried about that begins in my sequel. It's a potential romance that was completely unplanned - my subconscious connected the dots one night, and I literally facepalmed. Because I wasn't ready for it, there's a questionable element to it. Right now I'm handling it by talking openly about it with my editors, writing responsibly while remaining true to the characters, and by keeping my options open." - Lia Habel, author of Dearly Departed. "Yeah. Tons. Usually I listen to the little voice in my head that says, 'This is going to far, Mr.' I have a thousand EXTREMELY sarcastic scenes that I've dumped, because that's not exactly the vibe I want to put out there. A little sarcasm is appropriate, because there's messed up junk in the world, but flinging a lot of venom around just because it's funny, doesn't help anyone." - Geoff Herbach, author of Stupid Fast. "Sure. For example, I've frozen up writing kissing scenes because I've thought, 'My parents are going to read this! Or worse, those neighbors that I don't know particularly well...' The trick is to lie to yourself and say that no one will ever see this scene -- tell yourself it's just practice or it's just a draft and then write it anyway." - Sarah Beth Durst, author of Drink, Slay, Love. "No. I mean, perhaps it’s easier because I don’t have fans yet. But I try to only think about my characters and the story while I’m writing. Fretting over what potential readers—or my critique partners or my editor—will think is a surefire way to kill my creativity and get stuck." - Jessica Spotswood, author of Born Wicked. Have you ever stopped short while writing a scene because you were worried about what fans would think of it? "Fans? Do you mean the oscillating kind?" - Amy Kathleen Ryan, author of Glow. "I try to stay true to what the character would do in a situation, rather than thinking about how the fans will react. However, in an earlier version of Everneath, one of the main boys in the book did something so wrong that I wasn't sure readers would be able to get past it and root for him again. And I needed readers to be able to forgive him. I ended up taking the scene out, more because in the end I didn't think it was true to his character." - Brodi Ashton, author of Everneath. "There have been times I’ve held myself back from doing something I thought was too creepy. So far, I’ve always just said, oh, what the heck, I just write creepy. If they don’t like it, they can read something else." - Anna Sheehan, author of A Long, Long Sleep. "Never because of what a potential reader would think, but I've definitely stopped short out of questioning why I was making a particular choice. Am I doing this just to be dramatic? Is it going too far? Is it dishonest? Generally I forge ahead and give it a try. If it turns out I'm writing something for the wrong reasons it's usually pretty apparent." - Jeff Hirsch, author of The Eleventh Plague. Their love was meant to be. When Megan Rosenberg moves to Ireland, everything in her life seems to fall into place. After growing up in America, she's surprised to find herself feeling at home in her new school. She connects with a group of friends and is instantly drawn to darkly handsome Adam DeRÍs. But Megan is about to discover that her feelings for Adam are tied to a fate that was sealed long ago—and that the passion and power that brought them together could be their ultimate destruction. Knowing the publishing story of Carrier of the Mark- virtually handpicked from the HarperCollins teen writing site inkpop.com the way an actor gets discovered while walking the dog- I fully expected to be wowed by this. Unfortunately, I was not. My first and biggest problem is that so much of Megan’s story felt familiar-too familiar. I understand that there are many repetitive tropes in YA (especially paranormal YA) but... this had one too many similarities that I couldn't ignore. It reminded me very strongly of a certain ridiculously huge YA series about a clumsy new girl brunette and a sparkly old teenager with copper hair. You know what series I'm talking about. One or two things in common with this certain series wouldn't have been a problem for me—honestly, I can think of many novels that bear similarities to this certain series. 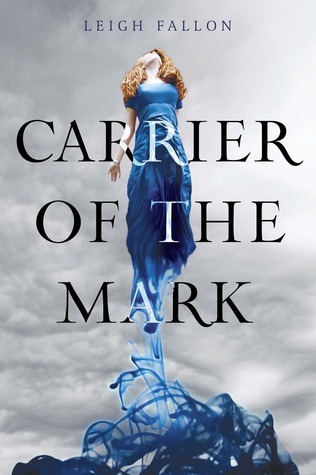 However, Carrier of the Mark is the story of a girl moving to a new place (that is greener than her old home) with her single father; she catches the eye of the Hottest Boy In School Who Doesn't Date Anyone So Don't Even Try; she immediately becomes obsessed with said Hottest Boy and his Weirdly Quirky And Possibly Magical Sister Whose Name Starts With An A; she gets rescued by Hottest Boy twice- once under Decidedly Supernatural Circumstances in front of her classmates and once while walking alone at night; she and Hottest Boy begin to date after the 2nd rescuing incident; there are all these rumors about Hottest Boy's family because of the weird incidents that happen around him but it turns out he has a Paranormal Secret that she learns about from his surrogate father. I could keep going, but I think you get the picture. Even with all these very obvious plot points smacking in the face, I still would have been able to look the other way if the writing were a bit stronger. Fallon's style is very simple; often too simple. With the amount of rich, delicious, complex YA writing out in the market today, much of this sounds amateur and falls flat. There are glimmers of what Fallon is capable of achieving, phrases here and there throughout the novel, and that kept me reading to the end. However, one cannot simply state how the characters feel without showing it, and therefore, I wasn't terribly impressed. The biggest peeve to me was her use of what I call Info-Dump or Extreme Exposition. Rather than let certain aspects of the plot reveal themselves organically or perhaps even wait for the next book in the series to explain something, a character will flat out tell Megan a ton of information all at once. I don't like this in any form of media, but in a book, an entire chapter or more of nothing but one character spouting exposition really messes with the pacing. I wonder who along the way enabled this, because I feel the blame shouldn’t lie entirely on Fallon. In short, I’m pretty disappointed with Carrier of the Mark. I was really looking forward to reading it, and it misses the mark (pun intended). Here’s hoping Leigh Fallon can find that potential that I know she possesses. What is the hardest emotion for you to convey on the page and why? "Even though I've suffered from anxiety and depression my whole life, I'm working with a character now who has a touch of PTSD, and it's challenging - mostly because she IS so strong. It's hard to convey that core of strength through all the fear of anxiety she's currently experiencing - mostly so that fans of her in the first book will be reassured that she's not been irrevocably changed, that she just has a new set of challenges ahead of her. I don't want her to look like she's breaking down completely, or has been weakened to the point of uselessness." - Lia Habel, author of Dearly Departed. "I think they're all hard. I always try to make emotions physical. Cold feet, hot face, tight stomach, goose bumps, drained sinuses, quivery knees, that kind of thing. I think if readers feel it, they'll feel it. Know what I mean?" - Geoff Herbach, author of Stupid Fast. But confusion where the point-of-view character is confused but the reader isn't... that's technically tricky to pull off. You have to walk this fine line of capturing the emotion while painting the scene. As with writing anything, the trick is to pick the right details." - Sarah Beth Durst, author of Drink, Slay, Love. "Grief. It’s hard to do well without turning into cliché or melodrama. There’s a scene in my sequel that I’m dreading, because I know Cate will be devastated, and conveying the depth of it will be hard." - Jessica Spotswood, author of Born Wicked. 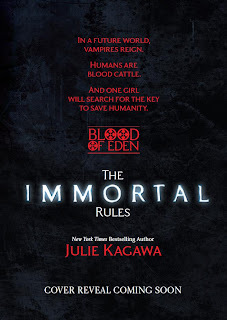 You might've heard by now, but Julie Kagawa has a new book coming out this spring, The Immortal Rules (Blood of Eden #1). What you might not know is that the cover is being revealed tomorrow on MTV's Hollywood Crush! There's no firm time on the reveal yet, but definitely bookmark MTV's Hollywood Crush and follow them on Twitter to see it as soon as it's available. 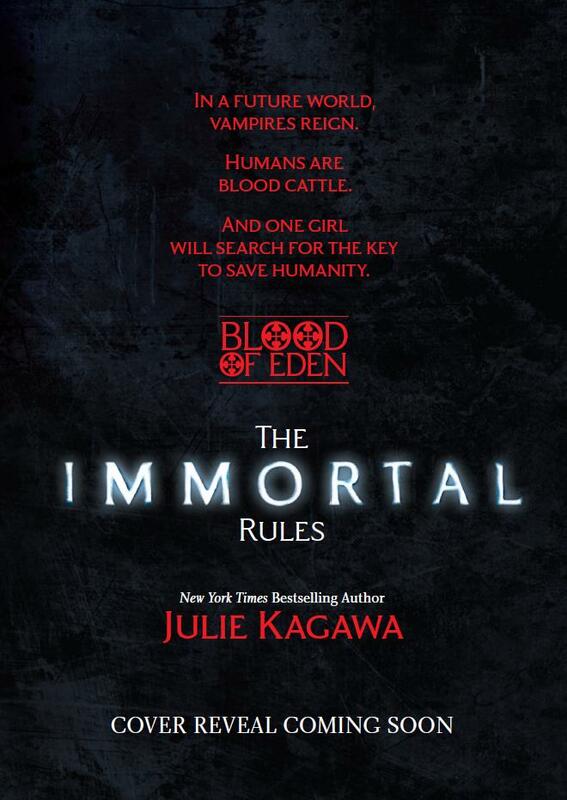 Also, don't forget to pre-order your copy of The Immortal Rules, which is coming from Harlequin Teen on April 24, 2012. Learning to live is more than just choosing not to die, as sixteen-year-old Ryan discovers in the year following his suicide attempt. Despite his mother’s anxious hovering and the rumors at school, he’s trying to forget the darkness from which he has escaped. But it doesn’t help that he’s still hiding guilty secrets, or that he longs for a girl who may not return his feelings. Then he befriends Nicki, who is using psychics to seek contact with her dead father. This unlikely friendship thaws Ryan to the point where he can face the worst in himself. He and Nicki confide in one another the things they never thought they’d tell anyone—but their confessions are trickier than they seem, and the fallout tests the bound of friendship and forgiveness. 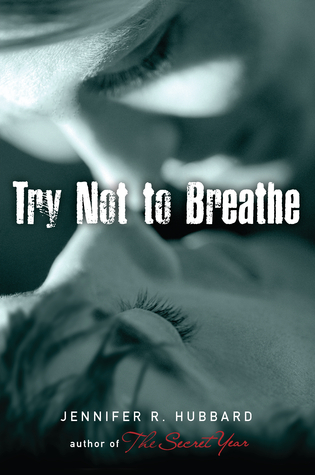 In short, Try Not to Breathe lives up to its name. This tangle of emotional moments will have readers holding their breath as often as the characters, but shock isn’t what will make you forget to breathe. Based on the description and the likening of this novel to Thirteen Reasons Why by Jay Asher (review), shock was what I was expecting. Well, it never came and I’m glad. There’s a quiet strength in this novel, and that’s what hooked me. "Sexual chemistry. It is mysterious, different for each couple, and impossible to ‘fake.’" - Amy Kathleen Ryan, author of Glow. "I'm really bad at showing how my main character feels, especially when it comes to love. I can't tell you how many times my editor wrote in the margins: 'And how does Nikki feel about this?' ... 'Now how does she feel?' ... 'How about now? How does she feel?' I think this is because when I was a teenager, if I liked a boy, I would avoid him like he had contagious boils on his skin, and then I'd be all, 'How could you not see I was in love with you??!! It should've been obvious.'" - Brodi Ashton, author of Everneath. "Depression – though I’m actually very good at writing it – just doesn’t convey well. Because it’s boring. Depression simply is. So trying to get across the distance, the disinterest and the dissatisfaction of a pervasive depression automatically turns readers off – they feel distanced, disinterested and dissatisfied with how the book is going. It’s troublesome." - Anna Sheehan, author of A Long, Long Sleep. "I think fear and anxiety are tough. Mostly because there are so many horribly cliched ways to describe them. The shaking hands, the beating heart, the nervous stomach. Finding a new angle on it and making it feel visceral can be tough." - Jeff Hirsch, author of The Eleventh Plague. In the magical underworld of Victorian London, Tessa Gray has at last found safety with the Shadowhunters. But that safety proves fleeting when rogue forces in the Clave plot to see her protector, Charlotte, replaced as head of the Institute. If Charlotte loses her position, Tessa will be out on the street and easy prey for the mysterious Magister, who wants to use Tessa's powers for his own dark ends. With the help of the handsome, self-destructive Will and the fiercely devoted Jem, Tessa discovers that the Magister's war on the Shadowhunters is deeply personal. He blames them for a long-ago tragedy that shattered his life. To unravel the secrets of the past, the trio journeys from mist-shrouded Yorkshire to a manor house that holds untold horrors, from the slums of London to an enchanted ballroom where Tessa discovers that the truth of her parentage is more sinister than she had imagined. When they encounter a clockwork demon bearing a warning for Will, they realize that the Magister himself knows their every move and that one of their own has betrayed them. Tessa finds her heart drawn more and more to Jem, though her longing for Will, despite his dark moods, continues to unsettle her. But something is changing in Will; the wall he has built around himself is crumbling. Could finding the Magister free Will from his secrets and give Tessa the answers about who she is and what she was born to do? As their dangerous search for the Magister and the truth leads the friends into peril, Tessa learns that when love and lies are mixed, they can corrupt even the purest heart. I cannot stop thinking about Clockwork Prince. Quite literally. 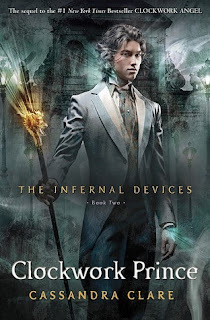 I keep thinking about what an amazing series The Infernal Devices is turning out to be, how much I adore these characters, and what new twists and turns Cassandra Clare has up her sleeve for Clockwork Princess. It will be quite difficult to post a spoiler-free review, but I’ll do my utmost. This is the first time I have ever cheered for all sides of a love triangle before. I am totally Team Everybody. 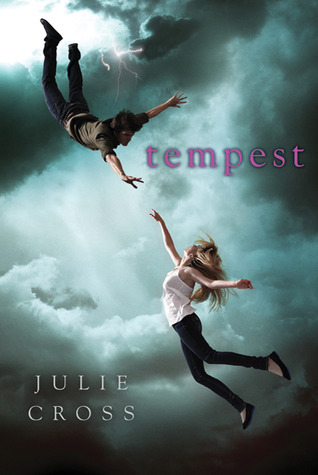 Will is so freakin’ tormented all by his own volition, Jem is physically falling apart but mentally and emotionally strong and brilliant, and Tessa… well, I am so fond of Tessa. She’s strong-willed and opinionated and romantic and literary and about 400 other awesome things. This love triangle works for me because I feel Tessa is worthy of Jem& Will’s affection, and they are equally worthy of hers. It’s not simply about physical attraction (though that obviously plays a part) or something supernatural that affects them. It’s sincere and beautiful. What truly makes this love story work for me is that as a reader of The Mortal Instruments series, I have the curse of knowledge so I know certain things to be true for the future of these characters. However, even if you haven’t read TMI, you can still guess what’s coming up ahead. No combination of this triangle can end in blissful skipping into the sunset, so it’s utterly heart-breaking either way. This kind of story is what I personally call sad/happy, and it’s my very favorite. I love anything that makes me smile and breaks me down at the same time. Call me crazy, but it’s true. Both of Clare’s series have aspects of sad/happy in droves, but I think it’s perfectly displayed in the Jem/Will/Tessa relationship. The Mortmain plot is also veryfascinating. The Shadowhunters of the London Institute delve into his background in a way that’s very Voldemortian (is so a word). They receive answers but from those answers only spout more questions. Some of those questions deal with Tessa’s background as well and what she is exactly. Clare has this innate and incredible talent of giving the reader just enough to keep them sated while still withholding important details. It’s a mix that not every author can successfully accomplish, but Clare can, and how. She answers the right amount of questions but creates more in the process without being exasperating. I hope she’s writing fast, because this rabid fanbase will be quite ready for Clockwork Princess just as soon as they read the last page. And OH, what a last page it is! I basically knew I would love this before I even received it, but I am so pleasantly surprised by how much I loved it. 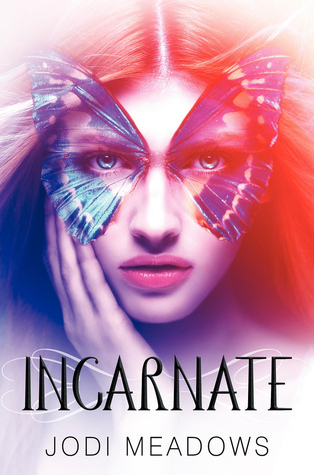 Even though TMI was my gateway into the Shadow World, I really wish Clare would write more of this series. I really don’t want it to end. I have already recommended this series to many of my friends, and I will continue to do so. Clockwork Prince is an excellent second book in an equally excellent series. Team Everybody. What does a book blurb mean to you as a reader and a writer? "Funnily enough, as a reader, very little - I almost never consider blurbs when choosing a book to purchase or read. My book is going to press without a blurb, though, and I'll admit that I was a bit disappointed initially. However, I've decided to make up for this by writing my own blurbs on the books during signings, from my own characters. I've already got a list started." - Lia Habel, author of Dearly Departed. "I really don't read blurbs when I pick up a book. I've usually already talked to people or read something interesting about it, or heard something on public radio. As a writer, it's a relief to get blurbed, because publishers like that." - Geoff Herbach, author of Stupid Fast. "As a reader, I don’t tend to pay much attention to blurbs. They’re such short sound-bites. If an author I love takes the time to rave about a book on their blog, then I might be persuaded to check it out. As a writer, of course I’d love to have the validation of an author I admire publicly saying they love my work, though." - Jessica Spotswood, author of Born Wicked.